Petras Butenas (1898-1980) was a linguist, an anthropologist, an interpretor and a teacher. He researched Lithuanian language dialects, prepositions, place names, contributed preparing Lithuanian dictionary, wrote the accentuation text book. 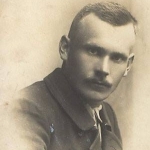 He was also Alexandra Kazickas' Lithuanian language and literature teacher at the Panevezys High School for Girls. In 2002 Alexandra Kazickas established the award in the honor of her dear teacher Petras Butenas. 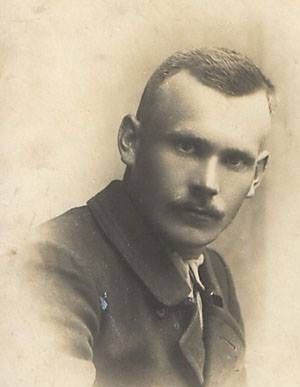 April 16th 2018 marks 100 years since Joseph Peter Kazickas’ (1918-2014) was born in Chiornaya Padina, Russia, village founded in 1863 by the Lithuanians, exiled after the 1863 uprising against the Tsar. J. P. Kazickas spent most of his life in the United States with only 20 years in Lithuania, but never lost his love for his homeland. He lobbied for its freedom during the dark days of the cold war, rejoiced in the re-declaration of its independence in 1990 and worked hard to bring economic prosperity to the Lithuanian people. Joseph P. Kazickas spent seventy years together with his wife Alexandra (1920–2011) and raised five children. They met in Panevezys where sixteen year old Joseph P. Kazickas saw Panevezys High School for Girls student Alexandra Kalvenas for the first time. Alexandra Kalvenas – Kazickas graduated from Panevezys High School for Girls in 1937 and kept in touch with many classmates and teachers her entire life. Kazickas family contributed a lot to help Panevezys High School for Girls (currently Vytautas Zemkalnis High School) . In 2001 the Kazickases’ funds helped to renovate school’s attic and turn it into a modern computer library. In 2002 Alexandra Kazickas started the award in the honor of her Lithuanian language and literature teacher Petras Butenas (1898-1980). This award complemented all her other ideas and work in Lithuanian language field. In 2006 with Alexandra Kazickas’ financial support Lithuanian school on Long Island, New York was started and named in her honor. In 2012 in her memory the Kazickas family established Alexandra Kazickas Grant Program supporting Lithuanian Heritage Schools in the US. These schools help preserve Lithuanian language and culture for the benefit of individuals, communities and society. With the AKGP program KFF seeks to support and encourage teachers' productive work, participation at the continuous education conferences, sharing of knowledge and experiences. AKGP was also one of the main initiators of Lithuanian language proficiency assessments conducted by globally accredited institutions in the Heritage language schools which hopefully results in awarding of internationally recognized Lithuanian language proficiency certificates. Alexandra Kazickas also supported Lithuanian musicians, children day centers and schools for children with disabilities. In 2011 after Alexandra Kazickas passed away, there was no one to continue Petras Butenas award. In 2017 Eugenijus Urbonas, school’s previous director, approached the Kazickas Family Foundation regarding the award. In spring of 2018 a group of professionals were selected who will be overseeing the process of this award which will be called the Kazickas Family Foundation Petras Butenas award. Petras Butenas award group thanks the Kazickas Family Foundation for a productive collaboration and its work for Lithuania.